Traffic problems could arise for people driving between Bedford and Manchester in New Hampshire. Headaches are ahead for people driving from Bedford to Manchester in New Hampshire. The New Hampshire Department of Transportation is set to repair a bridge on Interstate 293 and Route 101 as part of a preservation effort to extend the life of the bridge. The project is set to begin early next year, but area drivers are already bracing for major traffic trouble. "That's gonna cause quite some traffic backup," said Manchester resident Karen Heggner. "I might have to find an alternative route." NHDOT will take the three lane highway over the Merrimack River from three lanes down to two lanes close the Brown Avenue ramp going northbound. "It's going to be a headache," said Manchester Alderman John Cataldo. 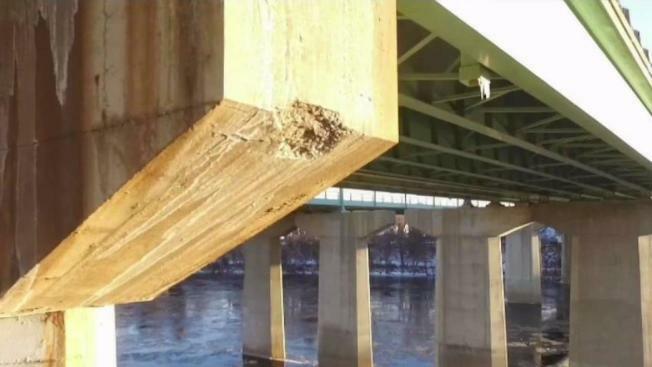 Painful, but the city and state officials say the bridge joints and piers must be repaired before they have to be replaced, which would take the project from its current price tag of $4.5 million to more than $11 million. The project will also include the pavement being replaced and the concrete deck being improved. "It will be an inconvenience, for sure, but there are other options close by for people to get on and off the highway," said Cataldo. Those options include getting off the highway at Exit 1 and making a U-turn. The state also said Queen City Avenue is an alternative route. "The bridge needs to be fixed," Cataldo. "We want everybody to be safe and so this unfortunately a hardship that we'll have to endure for a little while." "Most people are looking at 10 or 15 minutes," said Manchester resident Casey Rettke. "It shouldn't be that bad, and once it's done, it should be a lot better. "Everybody kind of finds their own way and they find different ways to get around," said NHDOT bridge design administrator Bob Landry. NHDOT will hold a neighborhood public outreach informational meeting on May 10 for Ward 8 and Ward 9 at Highland-Goff's Falls Elementary School, located at 2021 Goffs Falls Rd in Manchester. The project is set for completion October 2019.